Volkswagen Commercial Vehicles are celebrating a superb 2013 after figures showed the German manufacturer have posted their best ever UK half-year sales tally. A total of 18,782 vehicles were registered to the end of June, up 23% compared to 2012’s 15,269 figure. 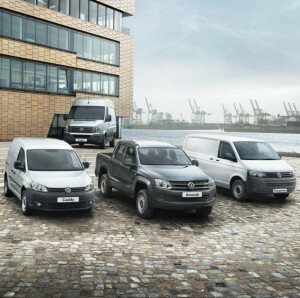 June was also Volkswagen Commercial Vehicles’ best ever, with 3,268 registrations up 6.3% when compared to last year. The strong performance has maintained the brand’s status as the UK’s number one van importer and the number two light commercial vehicle manufacturer. All models enjoyed strong half-year sales, resulting in a record UK market share of 13.7% – up 1.5% from 2012. The Transporter continued to be the most popular, with an 18.3% sales increase, while the Amarok (79.8% rise), Crafter (16.1% rise) and Caddy (25.1% rise) also shined. Alex Smith, Director of Volkswagen Commercial Vehicles, said: “It’s been a very strong start to the year with record sales and very positive demand signals. “Demand for our products remains at an all-time high, not just because of their outstanding quality but also because strong residual values and service support from our dedicated van centre network means they make sound business sense, too.